Congratulations! You have decided to get your kids started with their first bow and arrow. 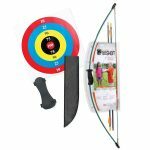 Children love archery and the gift of a quality youth archery set can certainly be one that yields hours, days and even years of enjoyment. You will be hard-pressed to find a child who isn’t thrilled when you put that first bow and arrows in their hand. This can be a life-altering event and can benefit them greatly. Unfortunately, it can be quite confusing to choose the proper archery set to get them started on the right foot. By performing adequate amounts of research beforehand through the Internet and at your local sporting goods shop, many of your questions can be clarified before you choose which archery set is best for the kid you have in mind. It is cheaper to buy a traditional youth bow set. The construction of a traditional bow is simpler, this allows the young archer to focus on their shooting technique rather than troubleshooting issues. A traditional bow and arrow allow the youth shooter to develop the necessary flexibility and strength in order to learn how to properly draw and release the string. Through muscle memory, your child will start to learn to shoot instinctively. 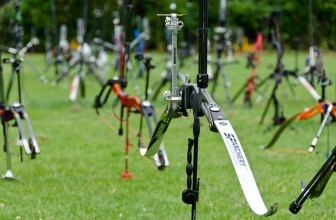 Draw Weight:- It is important to choose a bow that is neither too difficult or too easy for your child to pull. 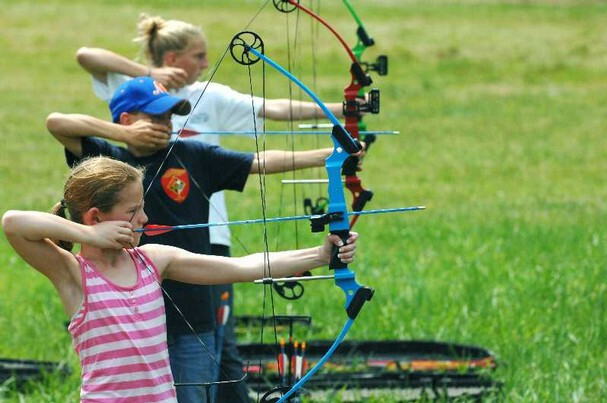 The purpose of their beginner archery set is to assist them in developing muscle strength that will allow them to upgrade to more advanced archery sets. Often times parents will express concern over their child’s ability to pull 15 or 20lbs of draw weight. The reality, of course, is that you will find most children quite capable of handling this amount. 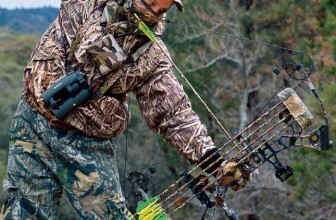 The design and shooting style of the bow results in excellent leverage and makes the draw weight feel less than what it actually is. Durability:- When seeking a youth set, you should look through previous customer reviews and attestations for quality, flexibility, and durability. The majority of bestseller archery sets designed for youth are not toys. 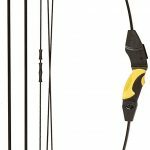 They are in fact genuine pieces of archery equipment that are designed to enable younger archery enthusiasts and beginners to become accustomed to the equipment and the sport. It is important to instill a high level of respect for the sport as well as the equipment. Children under 12 years of age should always be supervised. If the equipment is treated with respect and cared for, it can be a multi-generational tool that can be passed down to younger siblings as time progresses. The Barnett Outdoors Lil Banshee Jr. 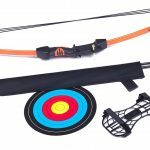 Compound Youth Archery Set is a 4.5-star youth archery set that is economically priced. Customer who was unsatisfied with the product indicated that even though the bow advertises that it is for both left and right-handed shooters, there is no indication that in order for it to be set up for left handed shooters, it needs to be altered. 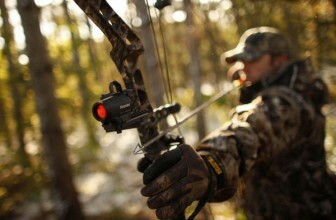 Other customers felt that the unit was poorly designed with a sharp-edged arrow rest and fletching that is easily stripped. That being said, the majority of customers are very pleased with the equipment. The bow is a high-quality beginner model and as a compound, it is easy for youth to draw. 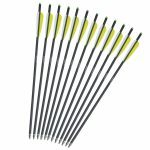 Happy customers recommend that more arrows be purchased with the set but they are quite satisfied with the quality of the bow, the price and all the young recipients love it.and its one of the best kids archery set. The Crosman Upland Compound Bow and Start-Up Kit is affordably priced and has earned a 4.3-star rating through Amazon. There are very few complaints about this kit. The majority of customers agree that this is a great beginner bow for the money. Negative reviewers indicate that their specific bows broke shortly after purchase. Positive reviewers agree that this is a perfect piece of equipment to introduce a new, young archer to the sport and that the draw weight of 10lbs is ideal for even the youngest members of the family. The customer is satisfied with the bow’s performance, pricing, and the inclusive set. 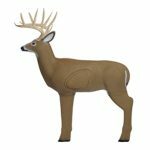 Overall Length: 36.5" - Brace Height 7.5"
The Bear Archery First Shot set is boasting a 4.5-star rating on Amazon.com and is affordably priced from various sellers. Customers have been purchasing this set for children between the ages of 5 to 12. All beginners in those age groupings found this set to be an ideal beginner bow set that enables the user to learn proper form. Some intermediate youth have indicated a preference for a larger bow. Customers who were unsatisfied with their purchase were more concerned with bad customer service than low quality. One customer made an indication that the rigid plastic fletching interferes with aiming accuracy and that real feathers should be used instead. That being said, the vast majority of customers have had nothing but praise for the quality and ease of use.